Look Here for free printable Match Love Horoscopes. 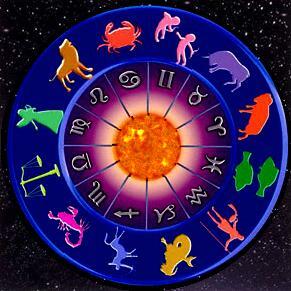 Click on any of the links below to see a detailed personality profile for each of the twelve signs of the Western Zodiac. Also included on this page is a sign-to-sign compatibility report. CAPRICORN Free printable profiles, poetry, designs and trivia pertaining to the sign of Capricorn and a reusable calendar for the month of January. AQUARIUS Free printable profiles, poetry, designs and trivia pertaining to the sign of Aquarius and a reusable calendar for the month of February. PISCES Free printable profiles, poetry, designs and trivia pertaining to the sign of Pisces and a reusable calendar for the month of March. ARIES Free printable profiles, poetry, designs and trivia pertaining to the sign of Aries and a reusable calendar for the month of April. TAURUS Free printable profiles, poetry, designs and trivia pertaining to the sign of Taurus and a reusable calendar for the month of May. GEMINI Free printable profiles, poetry, designs and trivia pertaining to the sign of Gemini and a reusable calendar for the month of June. CANCER Free printable profiles, poetry, designs and trivia pertaining to the sign of Cancer and a reusable calendar for the month of July. LEO Free printable profiles, poetry, designs and trivia pertaining to the sign of Leo and a reusable calendar for the month of August. VIRGO Free printable profiles, poetry, designs and trivia pertaining to the sign of Virgo and a reusable calendar for the month of September. LIBRA Free printable profiles, poetry, designs and trivia pertaining to the sign of Libra and a reusable calendar for the month of October. SCORPIO Free printable profiles, poetry, designs and trivia pertaining to the sign of Scorpio and a reusable calendar for the month of November. SAGITTARIUS Free printable profiles, poetry, designs and trivia pertaining to the sign of Sagittarius and a reusable calendar for the month of December. MATCH LOVE HOROSCOPES (CHINESE ZODIAC) This page offers some basic info on the Chinese New Year, along with a romantic compatibility chart for each of the twelve signs of the Eastern (Chinese) Zodiac. CHINESE ASTROLOGY DATES This page provides exact dates pertaining to each animal symbol of the Eastern Zodiac, starting from around 1900. Also included are some very cool clipart designs you can print.